Chanteur Rock 'n' Roll US né Bob Shurley. Red Smiley a enregistré chez Jin Records de Ville Plate (Louisiane). US Rock 'n' Roll singer born Bob Shurley. 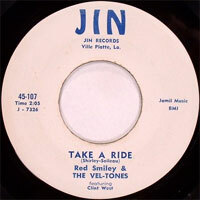 Red Smiley recorded at Jin Records of Ville Plate (Louisiana). 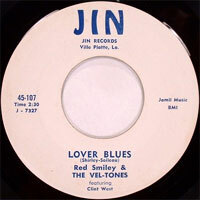 1959 SP JIN 45-115 (US) Red SMILEY & The VEL-TONES - Jailbird / ?